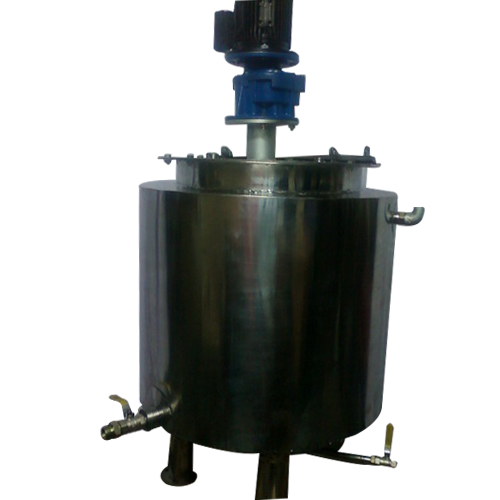 We are offering Hot Jacketed Tank to our clients. are used to store and transfer paint and liquids like chemicals and resins. Established in the year 2005, “Rajeshi Tools”, are engaged in Manufacturing, Exporting and Importing a wide assortment of Spray Painting Guns & Equipment. Our range of products encompasses Airless Spray Painting Gun (Model RTIL), Airless Dispensing Gun, Airless Spray Painting Guns, Airless Spray Painting Gun (Model RT Plus), Medium Pressure Output Spray Painting Equipment (Arjun RT35285), Medium Pressure Output Spray Painting Equipment (Arjun RT40150) and Medium Pressure Output Spray Painting Equipment (RT45205). Also, we offer Medium & Heavy Duty Airless Dispensing Equipment (Dharam 20 ltr. ), Medium & Heavy Duty Airless Dispensing Equipment (Dharam 200 ltr. ), Two Component Hot Airless Spray Painting Equipment (Model Maruti), Heavy Duty Airless Spray Painting Equipment (Model Raja 6075) and Heavy Duty Airless Spray Painting Equipment (Raja 6075). These products are manufactured using excellent quality material that is sourced from most trusted and reliable vendors of the market. The offered range is highly appreciated for longer service life, high flow rate, dimensional accuracy lightweight, rugged construction, low maintenance and corrosion resistance. All these are widely applicable in automobile industry for locomotive, marine & structural painting purposes. Moreover, to cater to the varied needs of the customers, we offer our product-line in various sizes, designs and specifications at nominal prices.